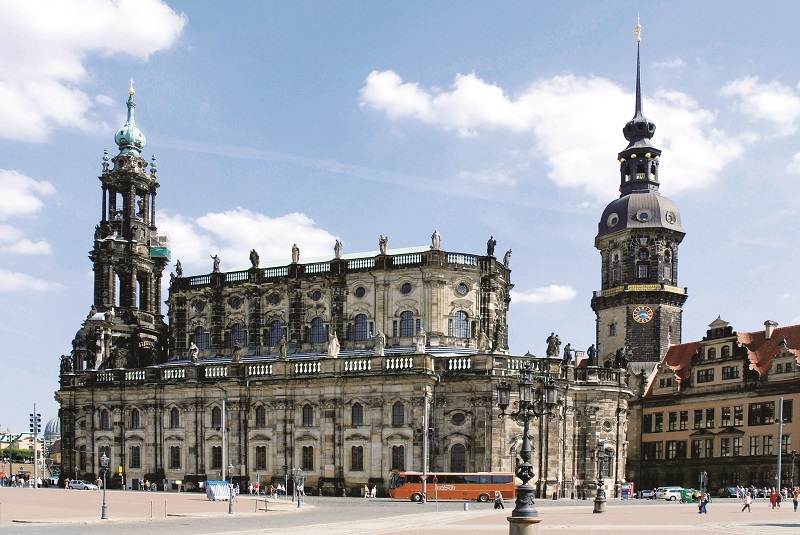 The capital of Saxony is distinguished by Baroque architecture and historical art museums. 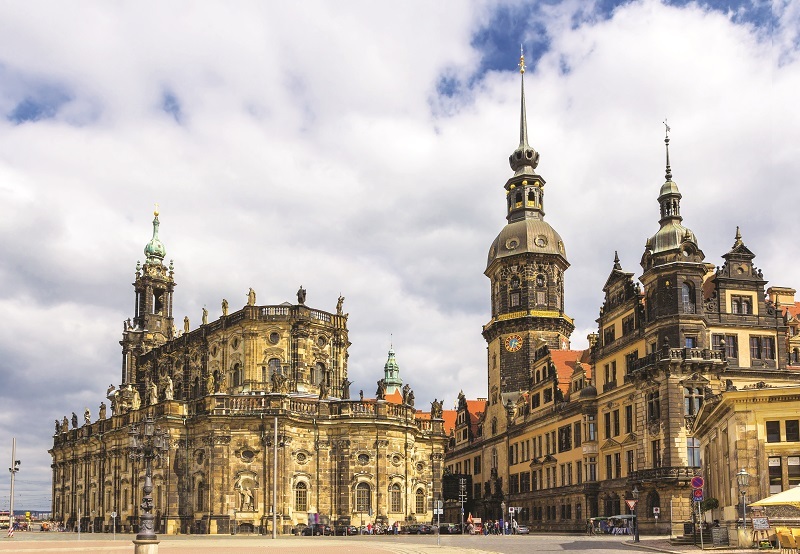 With a long history as the royal residence for the Electors and Kings of Saxony, Dresden is teeming with cultural and artistic splendour. Here are some must-sees in this city situated in a valley on the famous River Elbe. One of Germany’s most lauded Baroque edifices, the Zwinger was commissioned by Saxon Elector Augustus II the Strong in the late 16th century as a space for lavish court festivities. The work was completed in the early 18th century by court architect Matthäus Daniel Pöppelmann and sculptor Balthasar Permoser. What began as an orangery slowly grew into a complex of richly ornamented pavilions and gardens, overlooked by galleries lined with balustrades and statues. 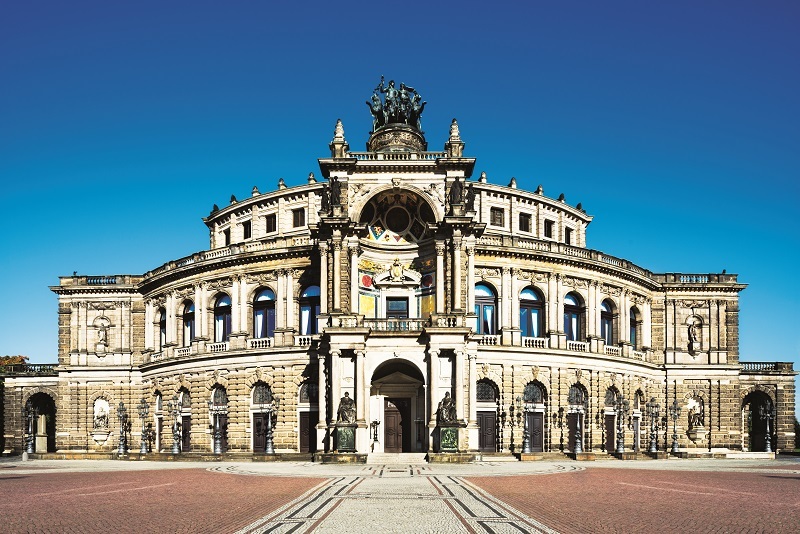 Named after its architect Gottfried Semper and opened in 1878, Dresden’s resplendent opera house is one of the world’s most respected venues for performing arts. It is the second opera house at this location, after the first burned down in 1869. Semper had also designed the original one, which was completed in 1841. The marvellous Neo-Baroque/Italian Renaissance hall was gutted during the war and reopened in the mid-1980s. If you cannot make it for a performance, there are daily guided tours of the exuberant interior in English and German at every 15 to 30-minute intervals. After the Albertine Wettins converted to Catholicism under Augustus II the Strong to make them eligible for the Polish throne in the 18th century, they set about building a new court church. 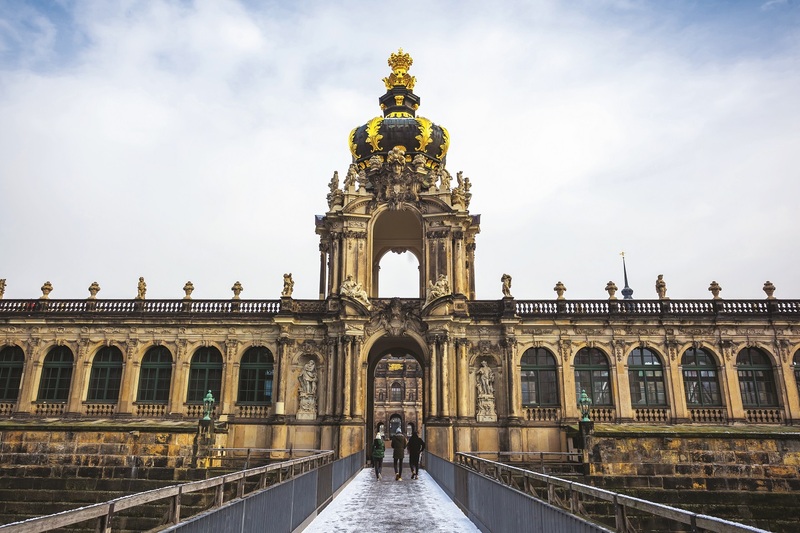 Designed in an Italian Baroque style by Roman architect Gaetano Chiaveri, it was another of Dresden’s monuments to be resurrected after the war. The crypt is the resting place of 49 Albertine members of the House of Wettin, including Augustus I, Augustus III and every 19th-century king of Saxony, as well as the heart of Augustus II the Strong. This intricate mural is of the rulers of Saxony, and was originally painted between 1871 and 1876 to celebrate the 800th anniversary of the Wettin Dynasty, Saxony’s ruling family. In order to make the work weatherproof, it was replaced with about 23,000 Meissen porcelain tiles between 1904 and 1907. The mural displays the ancestral portraits of the 35 margraves, electors, dukes and kings of the House of Wettin between 1127 and 1904. The large mural is a mounted procession of the rulers of Saxony. 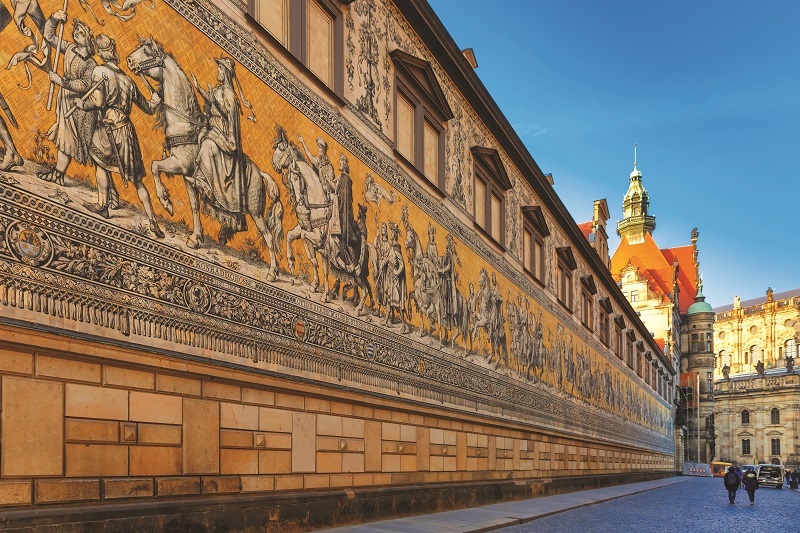 Once the residence of Saxony’s rulers, the castle is today a museum complex that contains the Historic and New Green Vault, the Numismatic Cabinet, the Collection of Prints, Drawings and Photographs and the Dresden Armory with the Turkish Chamber. It also houses an art library and the management of the Dresden State Art Collections. The Dresden castle was once a hub of power for Saxon royalty.